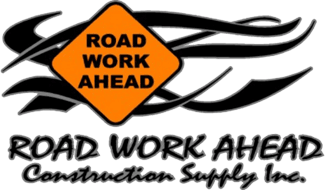 Road Work Ahead Construction Supply is a privately-owned Idaho-based company that has been in business since 2001. Road Work Ahead has been manufacturing Integriseal since 2003. Integriseal is a mineral-fill, water-based, asphalt emulsion material that is both environmentally friendly and protects your pavement from the ravages of UV and water damage. Our facilities are state-of-the-art, utilizing proprietary automated production techniques to ensure a quality product every time. We provide traffic control services throughout Idaho and Oregon. We supply certified traffic control plans to help with permits and insure the safety of your jobsite. We also rent and/or sell new and used traffic control equipment to fit your needs. Road Work Ahead’s sign shop specializes in custom traffic signs. These signs include most construction related signs and street signs. Not only do we offer traffic signs, but also real estate signs, banners, custom decals and personal signs. We sell a variety of safety equipment to fit your needs. From Class II and III vests, jackets, t-shirts, rain gear, hard hats, safety glasses, gloves and more. From lutes, squeegees and brooms to shovels, marking and striping paint. Including tape and wheel measures, stakes, hubs and lath, to survey whiskers and flags.